Runescape 3 (Global) is a large collection of new features added to RuneScape. Join over 200,000,000 registered adventurers as you explore the land of Gielinor, learn new skills, complete challenging quests, slay foul beasts and more. Create your own unique hero and embark on your greatest adventure; skilling, questing and fighting your way through hours of content. Subscribe Runescape Membership now and you'll gain access to a whole host of exclusive perks and amazing members-only content. Over 170 extra incredible quests, 10 formidable skills, 37 awesome minigames and so much more! How to redeem Runescape 3 (Global)? 1. 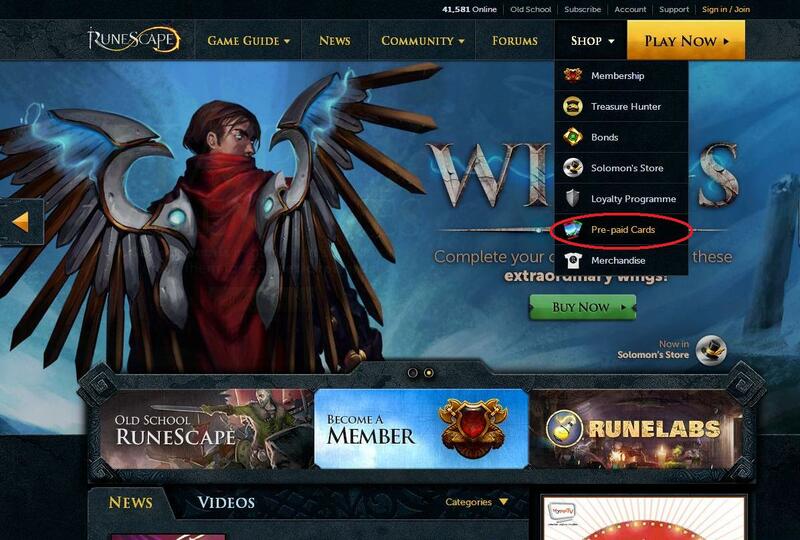 Visit RuneScape official site, login to your account. 2. Go to Shop page and click on "Pre-paid Cards" to proceed to the redemption page. 3. Click on "ACTIVATE CARD", enter your code in the box labeled "Redeem a Pre-Paid Card" and press "Redeem".